Introducing the newest addition to our lovely collection of modern sofas, this beautiful Silversale Arm chair is a perfect piece to add to your home if you're looking for an instant interior upgrade. 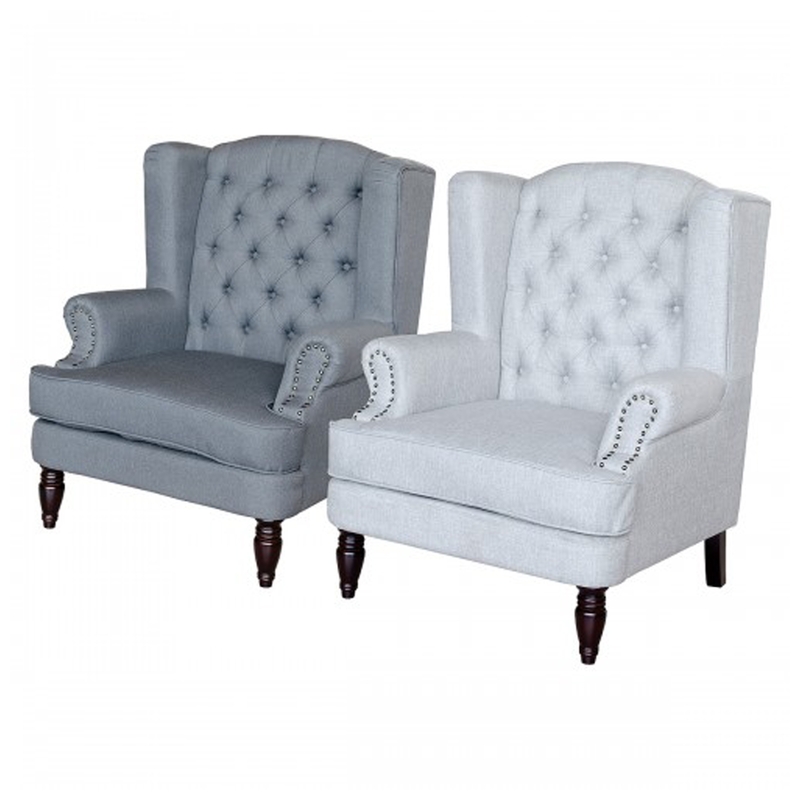 Available in silver or grey the whole chair is made from soft fabric with a buttoned design. Finished with four dark natural wooden legs this chair is a must have and is ensured to last a lifetime.